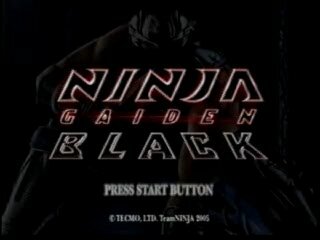 Ninja Gaiden was released for the Xbox in March 2004 after many years in development. Ryu Hayabusa of the Dragon Lineage must prevent the power of the evil Dark Dragon Blade from being used to take over the world. Excellent control coupled with a high degree of difficulty made Ninja Gaiden a critical and commercial success. Black, released in September 2005, is essentially a Director's Cut, with more difficulty settings and new skins for Ryu, his friends and his enemies. Best Single-segment Time: 1:55:05 by Josh Mangini on 2006-10-25. Best Segmented Time: 1:34:43 by 'JTB123' on 2016-12-22. Segmented: 1:34:43 by 'JTB123' done in 33 segments appended to unknown files.